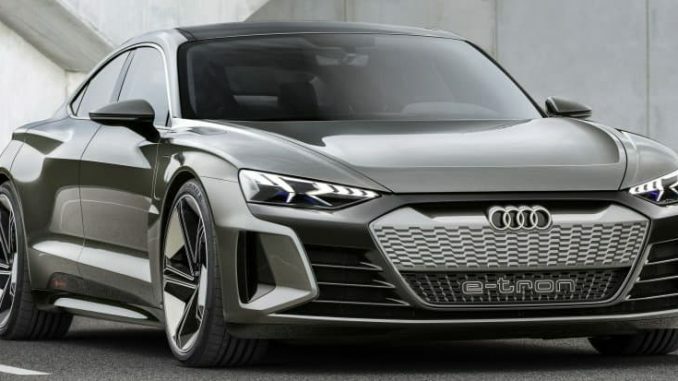 The German automaker’s fully electric e-tron GT concept made its global debut at the Los Angeles Auto Show, in late November, the Volume production is scheduled to start in late 2020. The Audi e-tron GT concept is completely electronic, it is a four-door coupé that is very powerful. There are two separate electric motors, fitted on the front and rear axles, for system power of 434kW. Torque is transferred to the wheels via Quattro permanent all-wheel drive. Audi has set a target of 0 to 100km/h in 3.5 seconds and a top speed regulated at 240km/h. The manufacturer evokes a range of over 400km for this EV, the battery can be charged via a cable or contactless induction charging. E-tron, will be Audi’s third all electric car in the market, the production phase is set to end by 2020. The concept of the car was closely designed with Porsche, as they too gear up to launch they first sporty electric sedan in 2019.